Tammy is a proven financial professional with extensive experience focused on helping nonprofit organizations grow and thrive. She is skilled at quickly evaluating the existing processes and staff in an organization, and providing both practical suggestions for change and ongoing, hands-on help as needed. Prior to joining CFO Selections, Tammy spent 15 years successfully building a consulting practice in accounting and financial management for clients ranging from small operating nonprofits to large ($95M) charitable endowments. 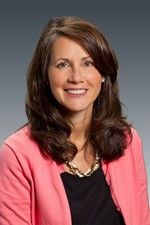 She has directed all aspects of accounting operations at both for-profit and nonprofit entities, including management of accounting departments and all accounting functions, reporting, budgeting, grant reporting and compliance, payout planning, investment and endowment reporting, direct and indirect expense allocations, and communication with executive management and audit/finance committees. Assignments have included selection and conversion of accounting systems, assistance in hiring and training of staff, design and implementation of accounting procedures for newly formed organizations, and improvement of existing accounting systems. Tammy also has experience with coordination of all federal and state tax filings (990, 990PF, 990-T, and federal excise taxes). Tammy holds a BA in accounting from the University of Washington. She lives with her family in Sammamish and enjoys skiing, hiking, and traveling.